Two men, a father and son, Bill and Dylan Allred meet at Penny Ann’s Cafe. 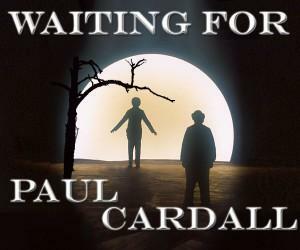 It is soon revealed that they are waiting for a man, a Mr. Cardall, Paul Cardall. The men discuss many things; religion, humour, food and Karma, while wondering, will this heart transplant recipient, and award winning pianist appear? To see pics CLICK HERE! BTW, you should totally have Richard Paul Evans on the LGES. I just watched an interview with him on KUTV last night and he said he has Tourette’s Syndrome, one of the tics is spitting on famous people! His BFF, Glenn Beck must be riddled with spittle… ha!